It’s well known in these parts that I have a particular soft spot for wallpaper. 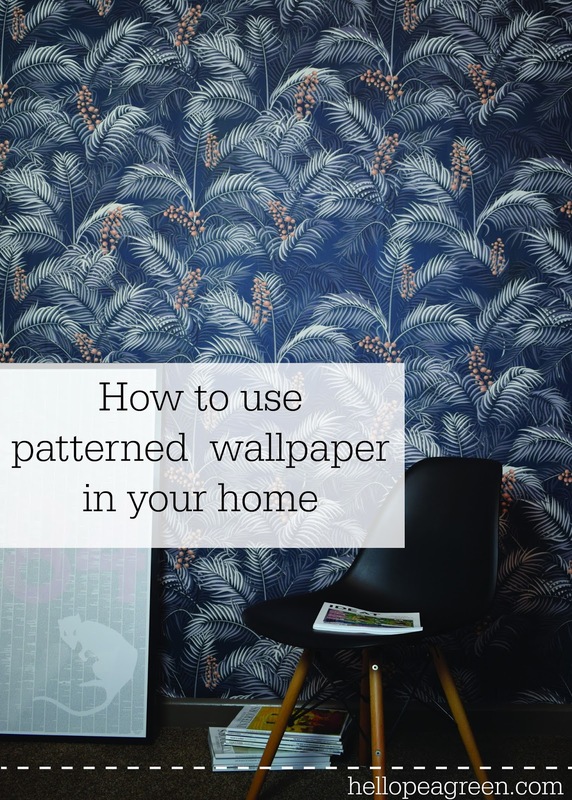 In fact, as a nation, we’re using wallpaper more than ever before. 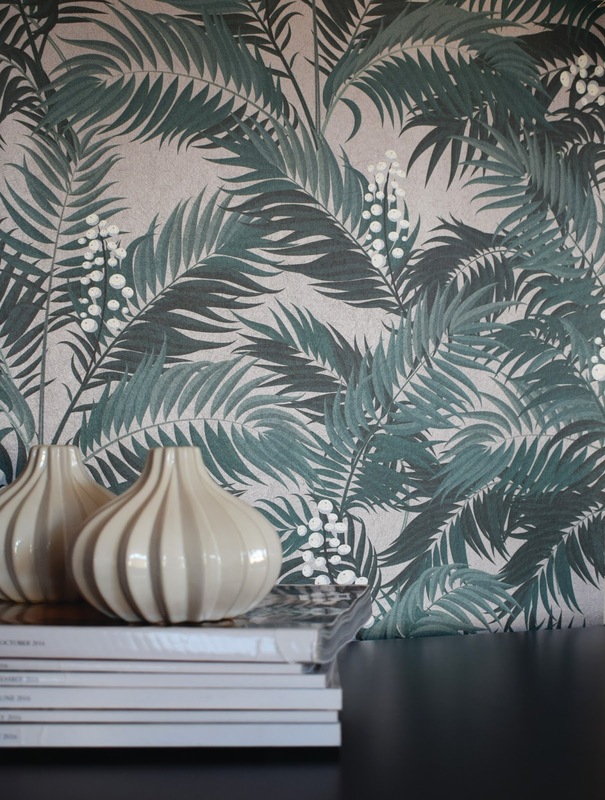 This autumn saw a bumper number of new wallpaper launches, and in the coming weeks, I’m going to share some of my favourites including Cole & Son that I wrote about here. I’m going to fess up about the next wallpaper designer that I’m sharing; he’s my friend and fellow Brightonian Stuart Rodgers. 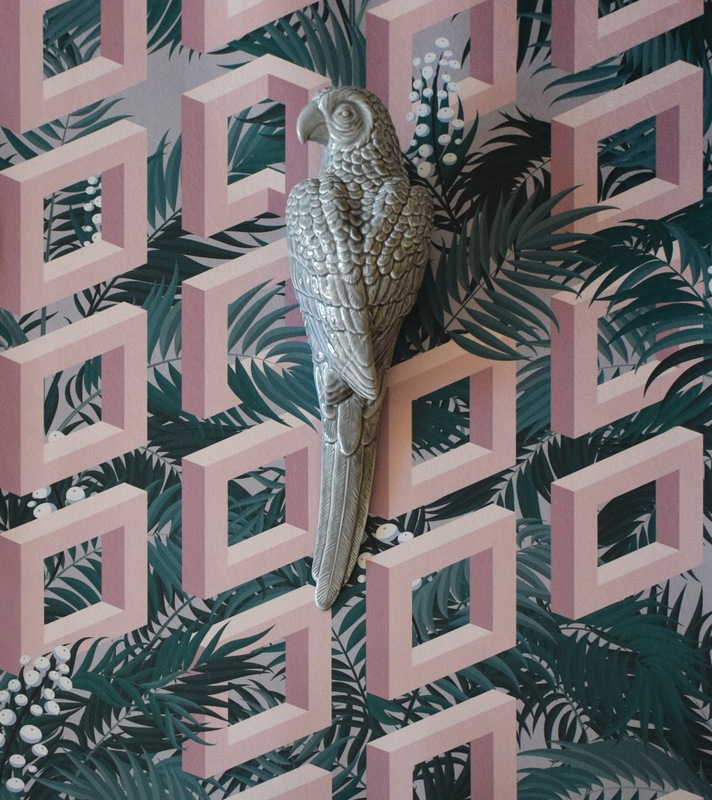 During London Design Festival, Stuart launched his new wallpaper brand with his first collection, Unseen Future at Decorex by Stuart Rodgers Wallpaper. I, however, had a sneak peak before the big reveal at Decorex and used one of Stuart’s papers during my styling for the house that bloggers built project this summer (see here). 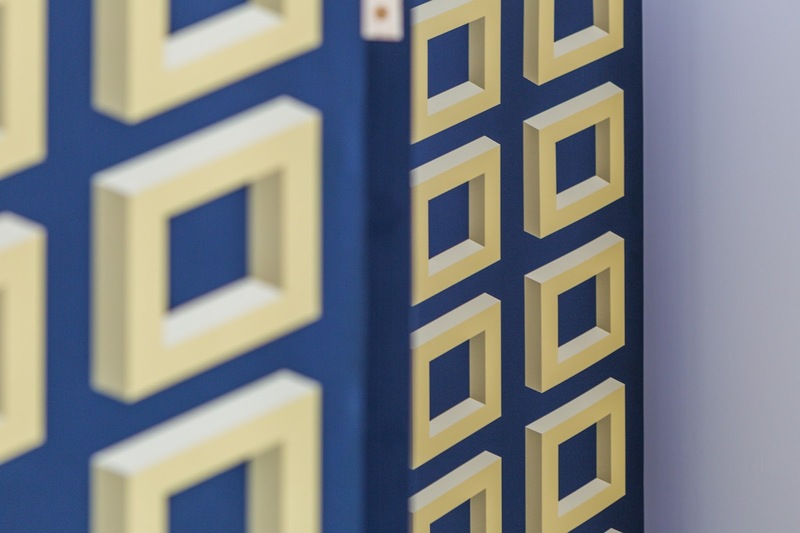 While the wallpaper brand Stuart Rodgers Wallpaper may be new, Stuart has plenty of expertise in creative surface solutions having worked alongside interior designers, architects and tastemakers for the past 16 years in a design-led wallpaper, tile, mosaic and stone company. In fact, that’s how we met, over tiles. I sometimes feel some of the most interesting conversations start out with a bold design choice. If you are one of those people who like minimalist Scandinavian inspired interiors, these wallpapers will not be making your short list, in fact, look away now. If however, you are a lover of colour, pattern and interiors full of vibrancy and contrast then these may just be up your street. It can be a challenge to find newness and originality when I’m scouring the halls of interiors trade shows, but when I do, it’s like a small firework has gone off in my head. Stuart’s range of wallpapers is modular, and that’s not something I’ve seen much of. It’s also filled with vivid contemporary nostalgia, with references to nineties dance culture with a dash of Miami and the urban environment. 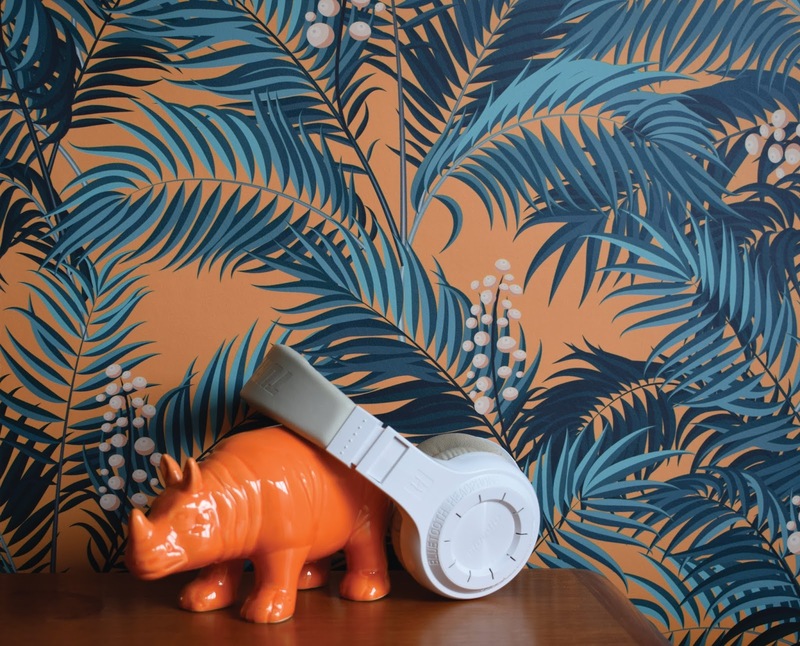 Stuart Rodgers Wallpaper is upbeat and fun and I for one am a fan. If this autumn’s new product launches tell me anything, it’s that we have become more experimental with the patterns we buy. We are expressing our individuality by mixing scales of patterns and even clashing them. 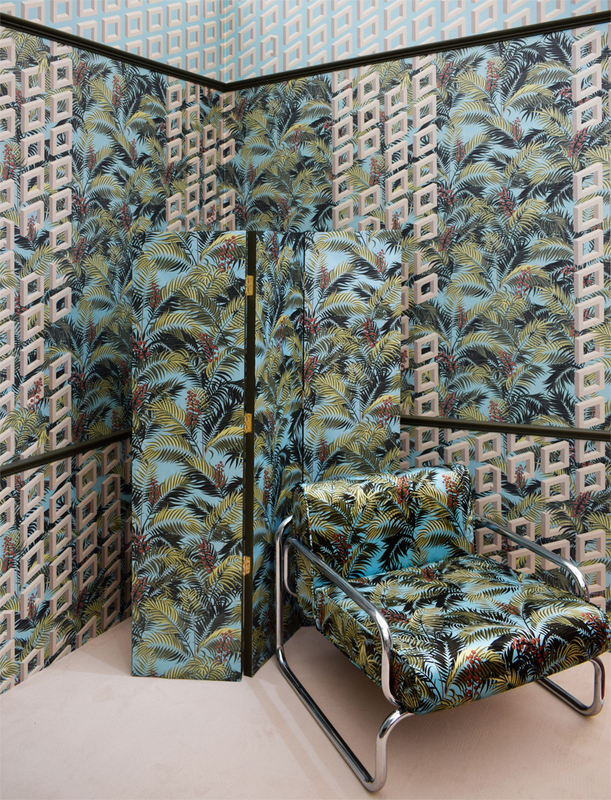 Wallpaper isn’t just being consigned to a feature wall either anymore but used on all four walls and even the ceiling. 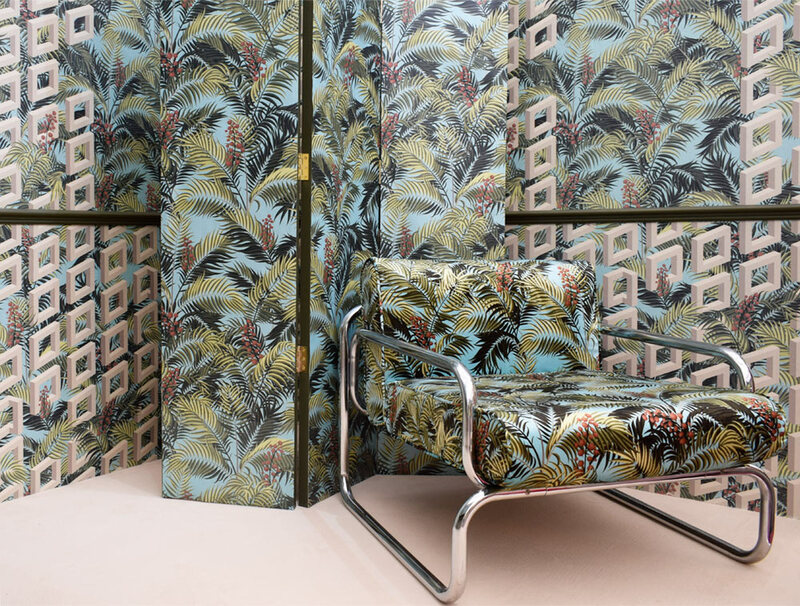 Foilage, botanicals, geometric forms and abstracts all of these will be dressing our walls in 2018. If you’re bold enough maybe you can incorporate them together which is what I spotted on Stuart Rodgers stand at Decorex.